How to replace any specific word ignoring case difference. // Use matches() to find any version of test. 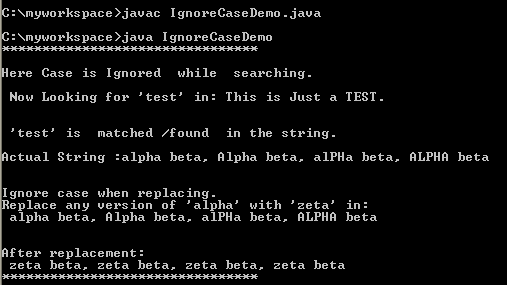 // In this example, replace all versions of alpha with zeta.